You’re committed to healthy, natural, and organic. The way you shop and eat are part of who you are. Contrary to popular belief, there’s always time for quality meals, desserts, and snacks. Mazopiya Express gives you healthy, wholesome options on the go. Our to-go deli section is packed with from-scratch food that fits your everyday needs, like sandwiches, wraps, salads, and more. Got a minute? Stop in and explore our revamped Mazopiya Express options today. This is me. Find us throughout the SMSC! Fill up with fresh and healthy options at the Shakopee Dakota Convenience Store. 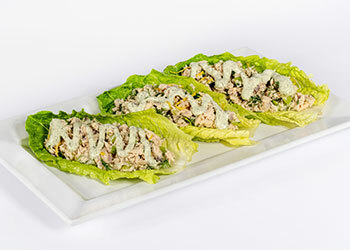 Fill your stomach with this gluten and dairy free romaine lettuce wrap. 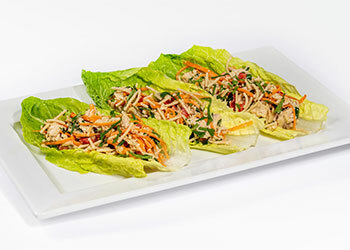 Stuffed with shredded chicken, cilantro, carrots, red peppers, green onions, chow mein noodles, and topped with our creamy Asian dressing. We took the classic flavors of spicy chicken wings and rolled them up for lunch. 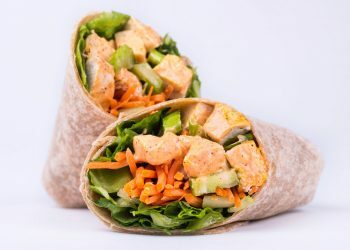 Our Buffalo wrap includes chicken breast, blue cheese, and celery in a mild and tangy cayenne pepper dressing. Enjoy West Coast flavors here in the Midwest. 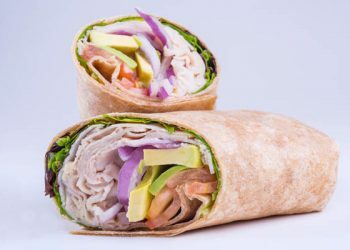 In this wrap, avocados are mashed with our creamy herb dressing and topped with spring mix, tomatoes, red onions, and roasted turkey. A healthy take on the classic Caesar salad. 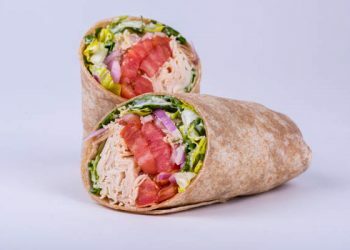 This wrap is made with oven-roasted chicken breast, fresh red onion, tomato, and romaine. It’s finished off with Parmesan cheese and organic Caesar dressing. 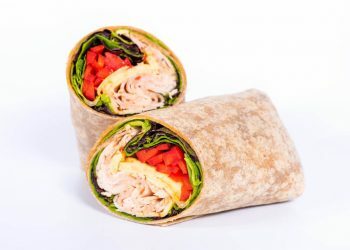 This wrap adds the perfect crunch to your lunch! Both gluten and dairy free, this delicious sandwich alterative is made up of tuna, celery, red onions, romaine leaves, and a flavorful tzatziki drizzle. 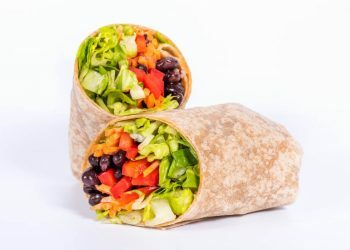 A wheat tortilla filled with chipotle black beans, crisp romaine lettuce, red bell peppers, and carrots, drizzled with our smoky chipotle dressing. You’d never know this wrap is vegan! The Zesty Turkey Wrap adds the perfect zing to any lunch plate. Made with lean turkey, fresh spring mix, sweet fire mango cheese, red pepper strips, and our sweet apricot mayo.